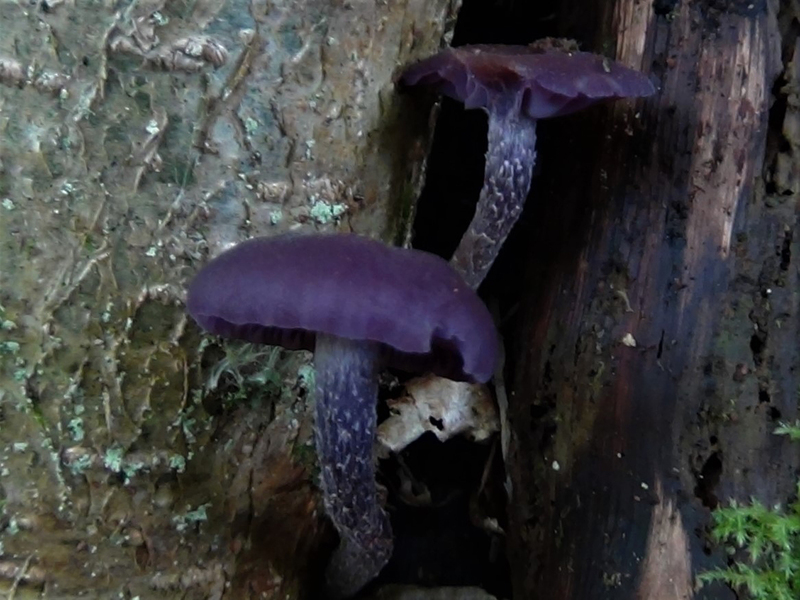 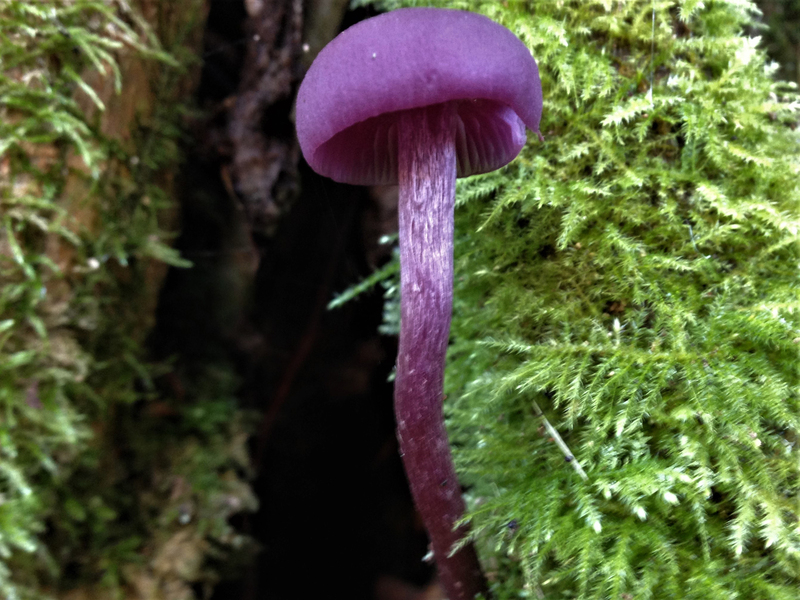 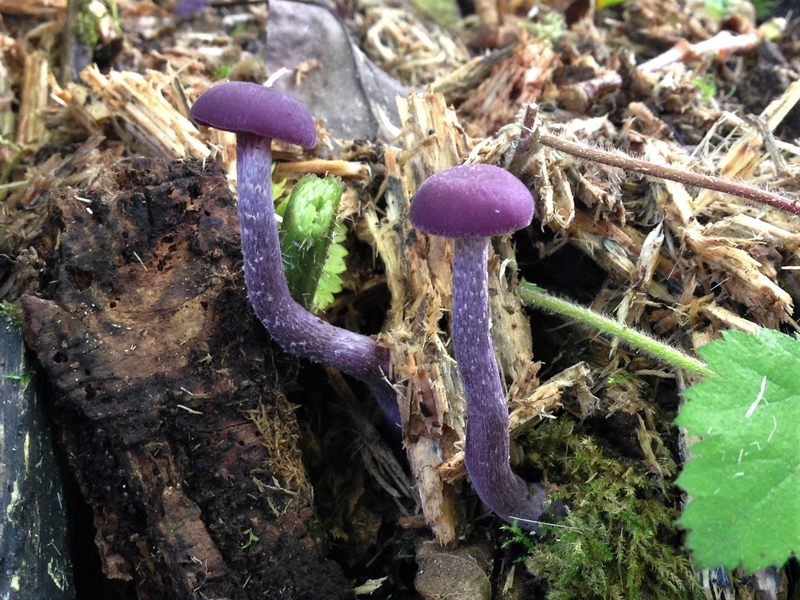 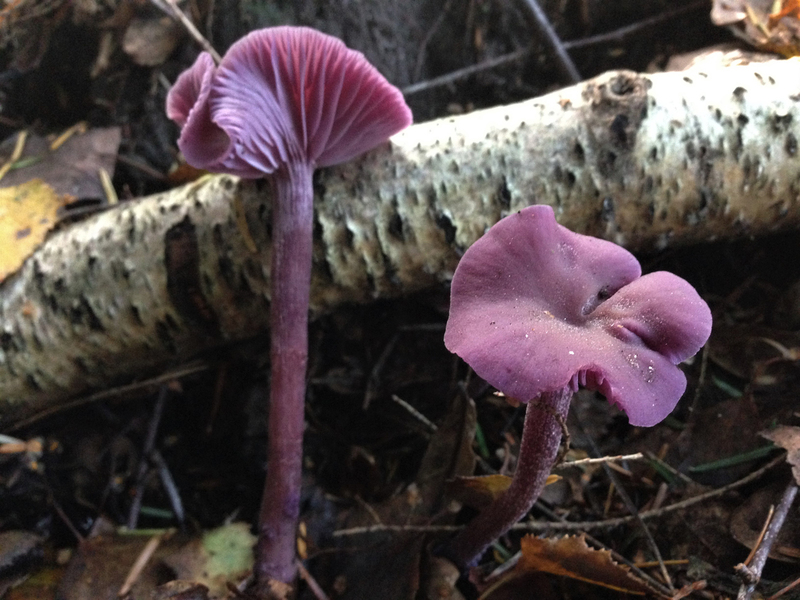 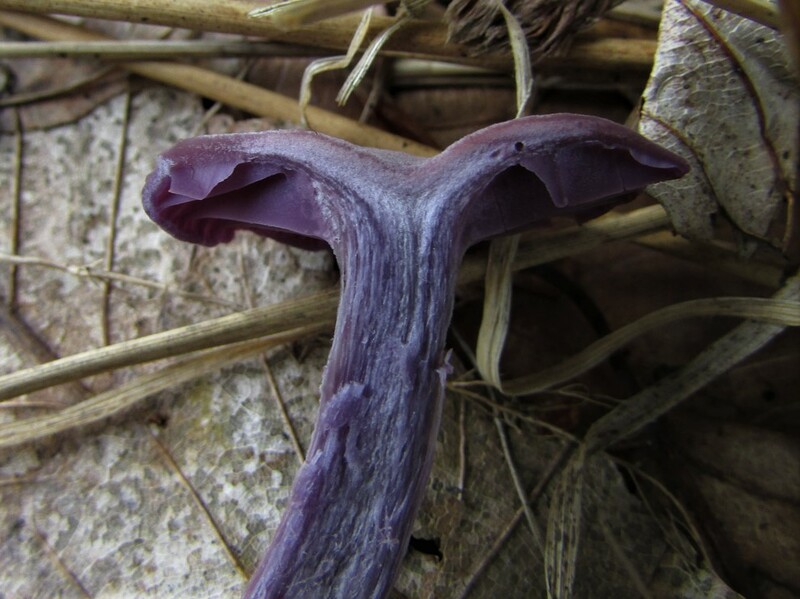 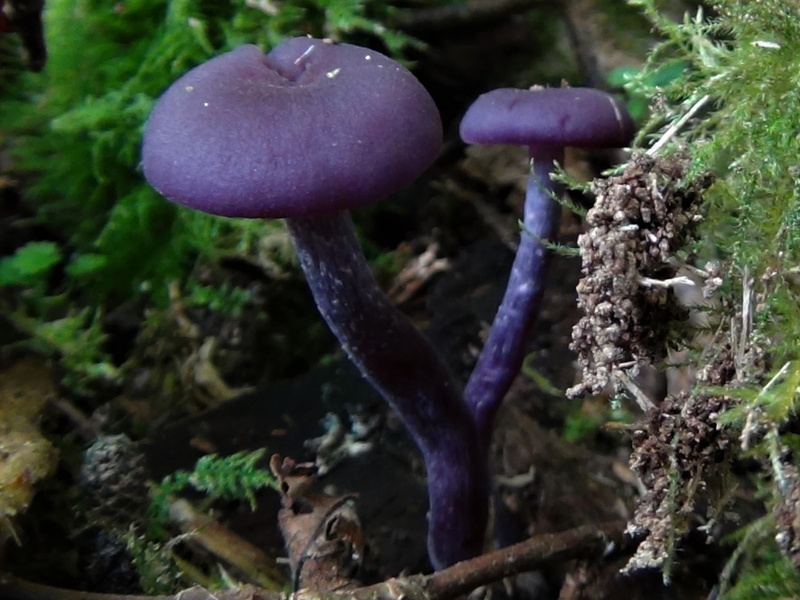 Amethyst Deceiver, Laccaria laccata. 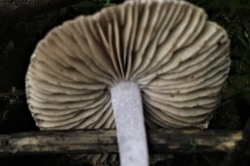 The fibrous stem is visible here. 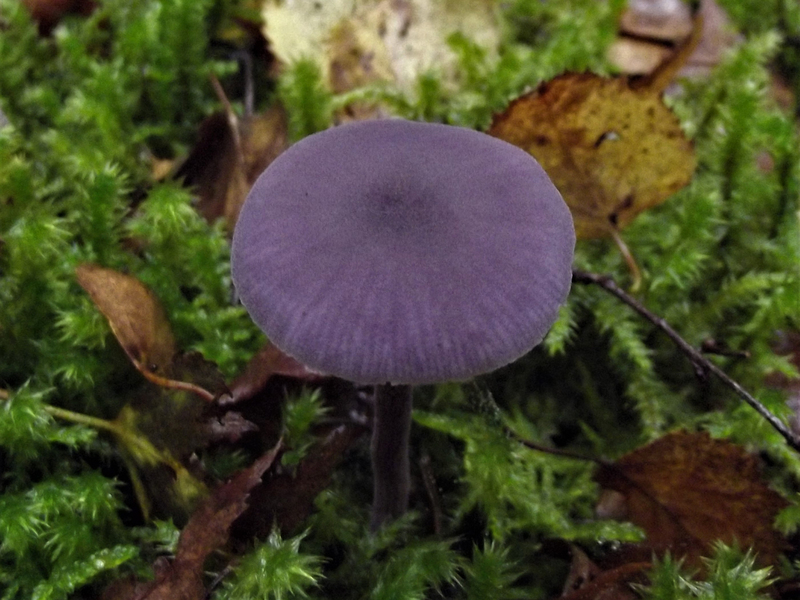 Very common and beautifully coloured, although the colour can be deceptive in photographs. 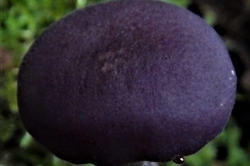 Convex to flattened with depressed centre and even upturned edges, often becoming deformed with age. 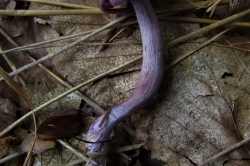 Deep purple/lilac when young fading to pale brown/tan. 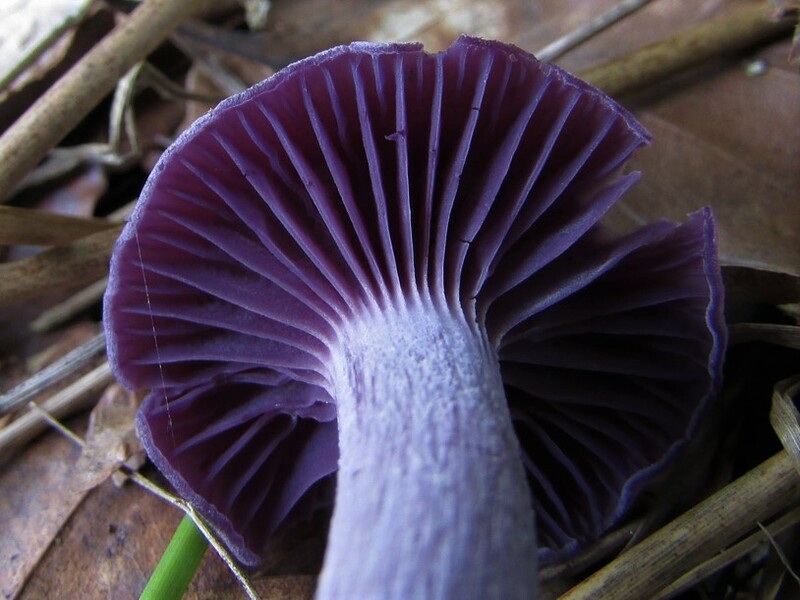 Gills deep purple/lilac when young fading to pale brown/tan. 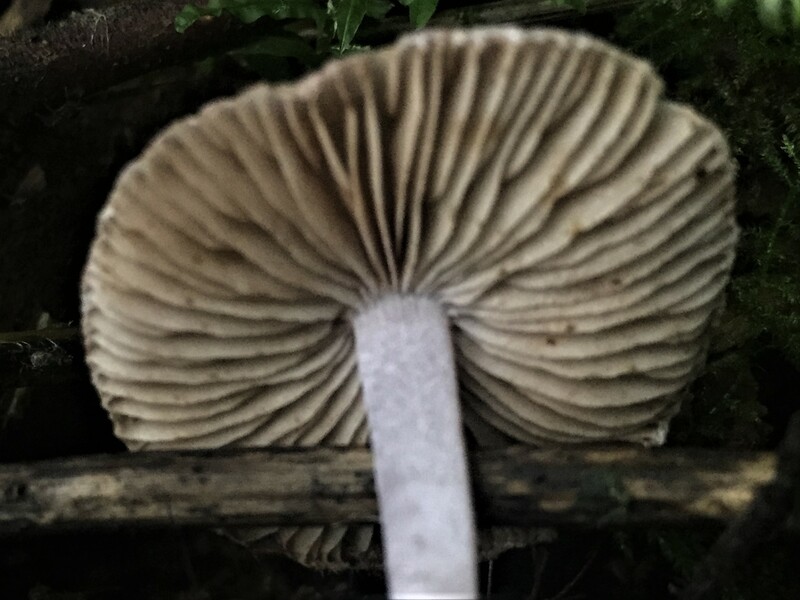 Widely spaced, broad and irregular with shorter gills in-between. 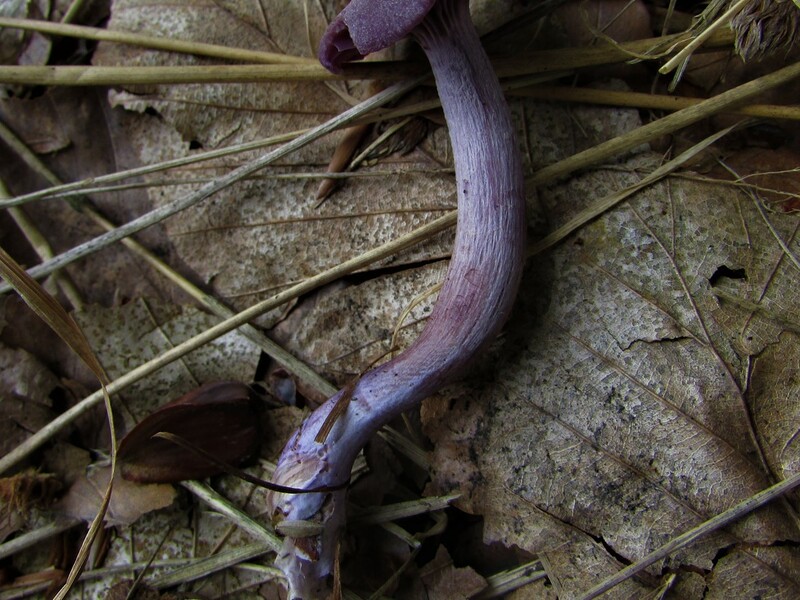 Deep purple/lilac when young fading to pale brown/tan. 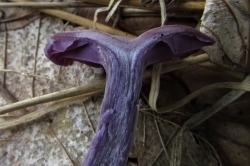 Fibrous, usually twisted and sometimes hollow. 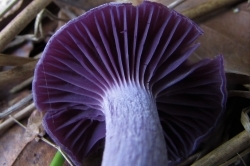 Purple can be white with a purple flush. 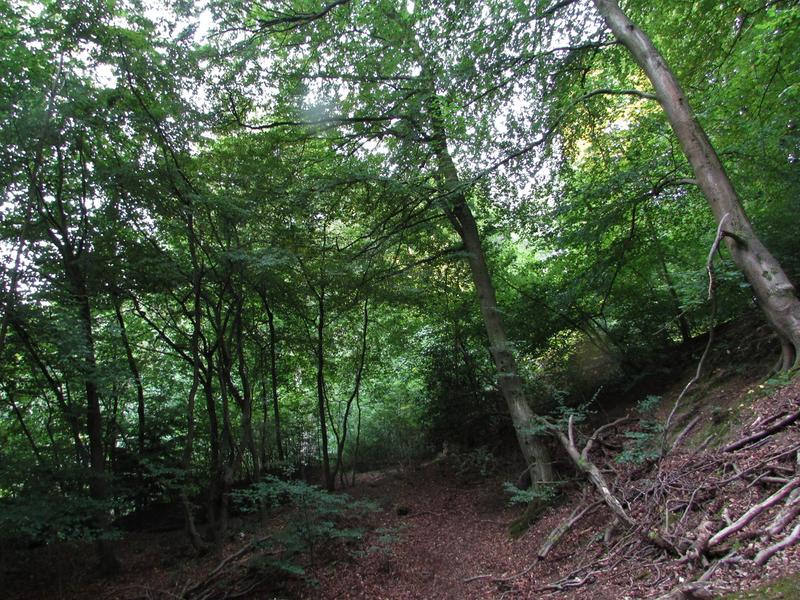 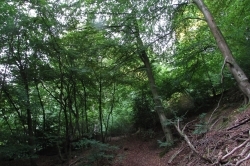 Mixed woodland, particularly with oak and beech. 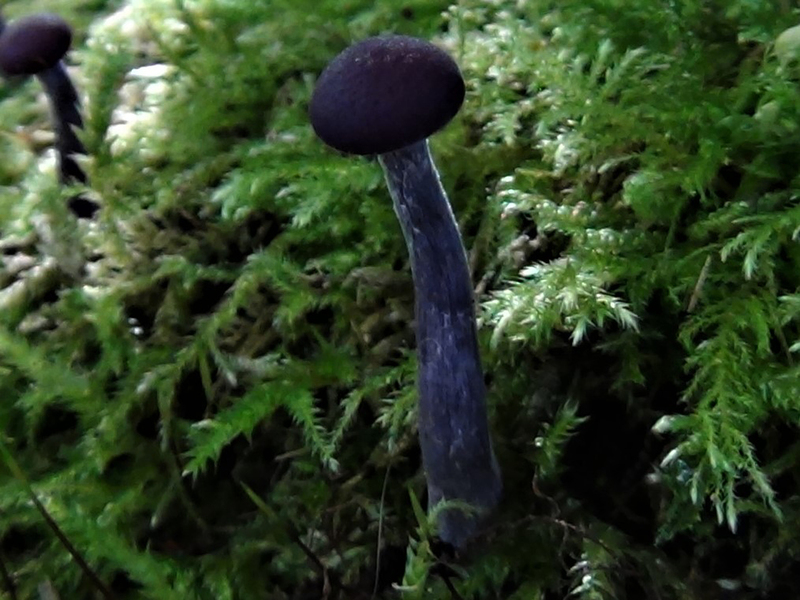 Looks a little like Inocybe geophylla var. 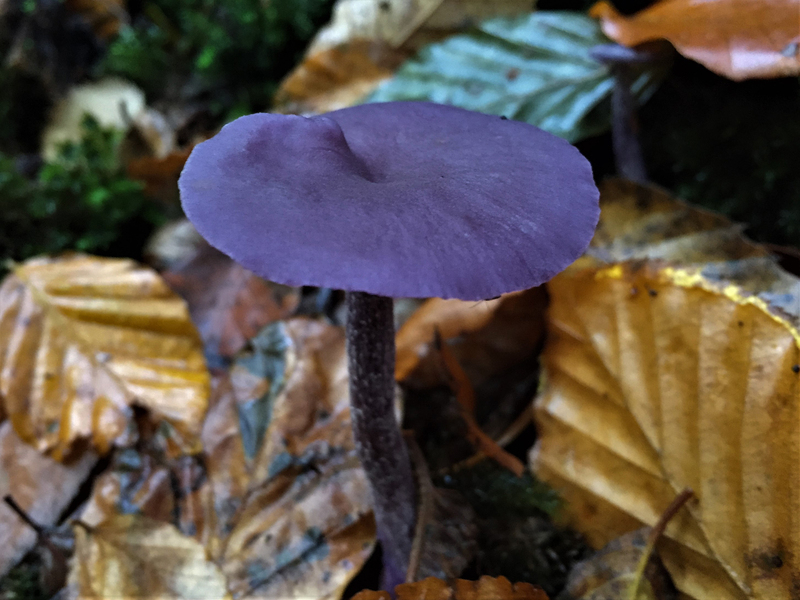 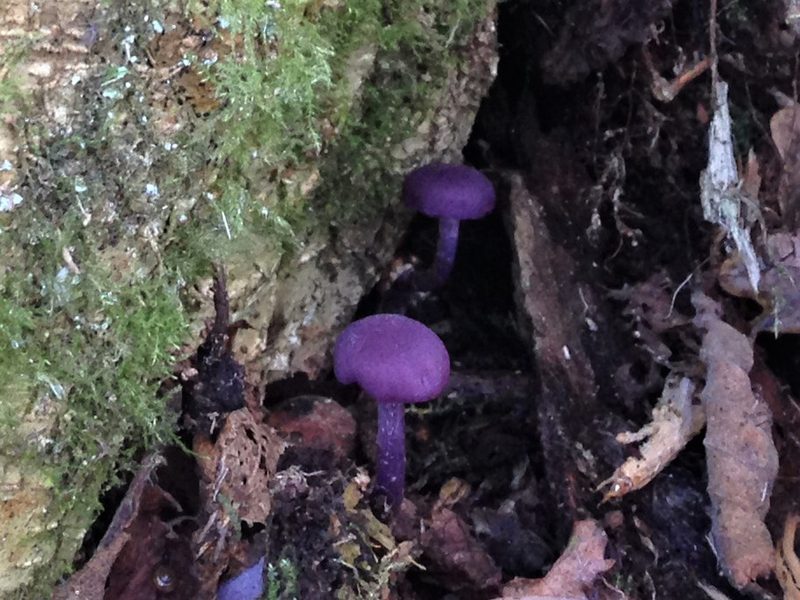 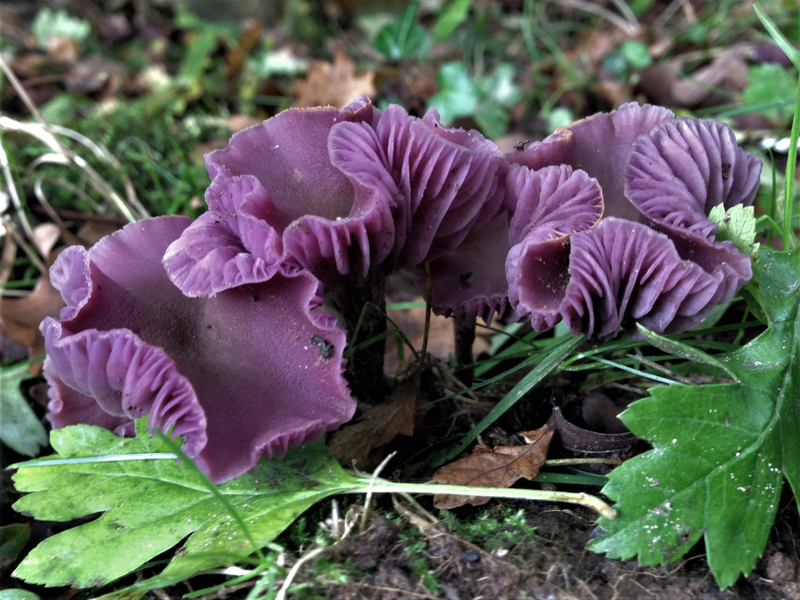 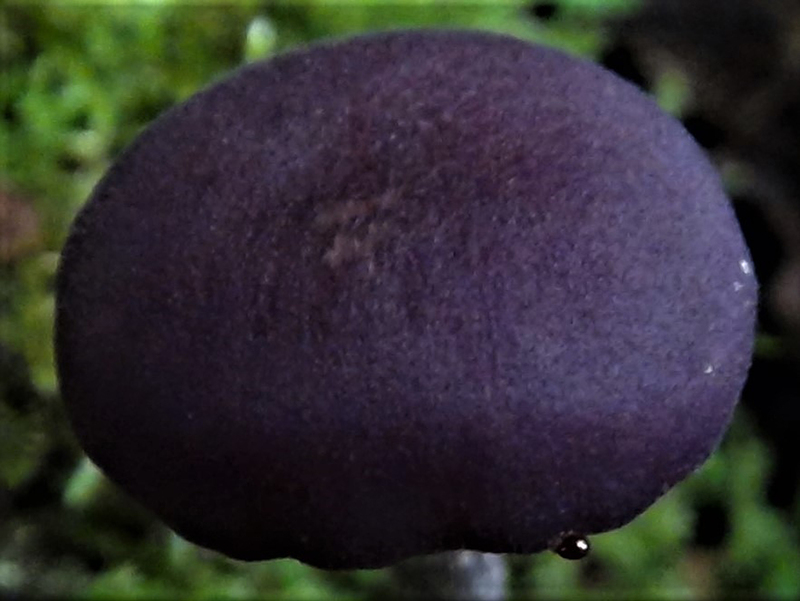 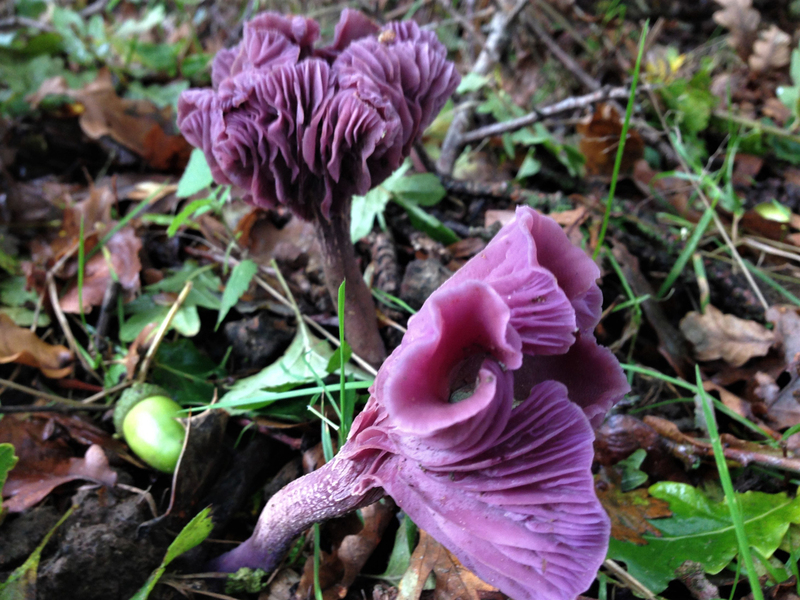 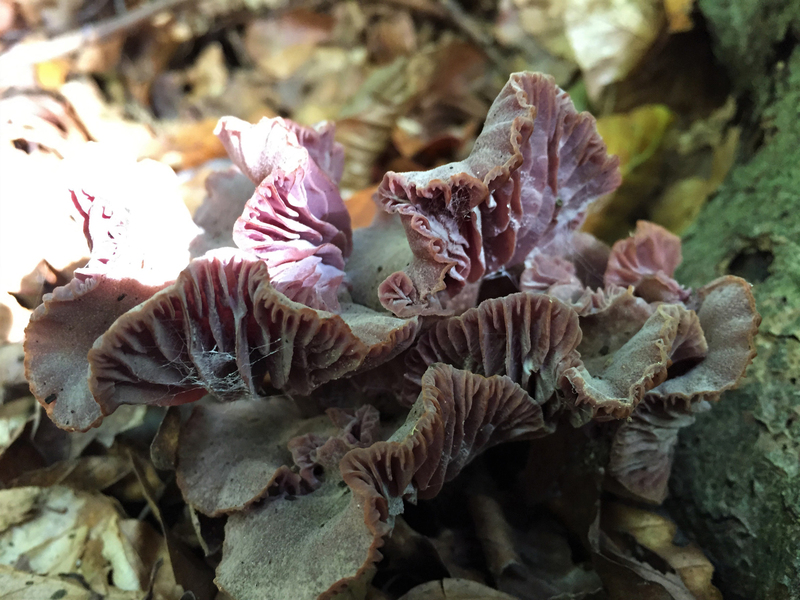 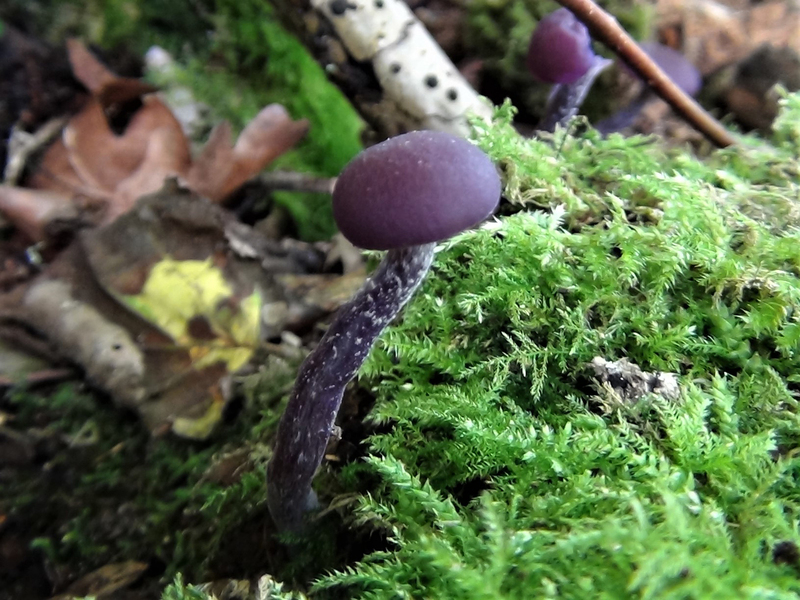 lilacina, pictured, but this mushroom has off white or grey gills whereas the Amethyst Deceiver has the same colour in the cap, gills and stem. 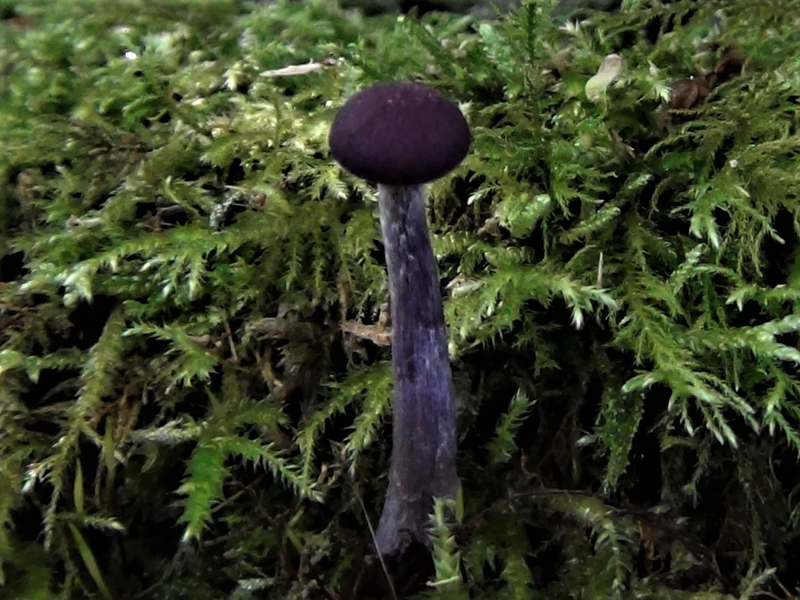 When young the deep purple of this mushroom is quite distinctive but caution should be taken with older specimens. 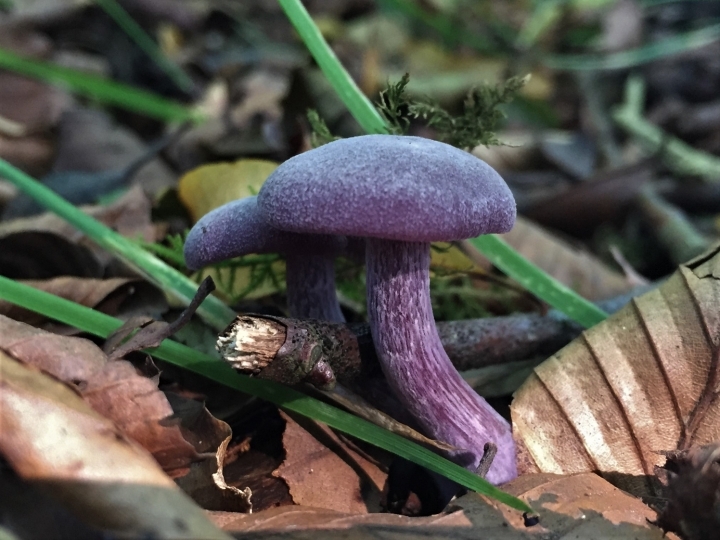 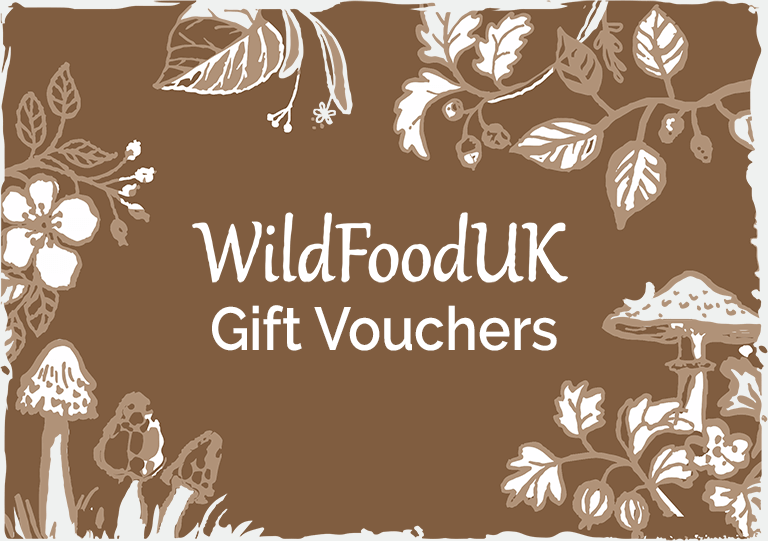 Mildly nutty/mushroomy and keeps its colour when cooked so a bright addition to any meal.